We live in Florida and the weather is absolutely perfect to go to the beach, still able to tan without suffering a heat stroke. As we lay there reading, listening to music, watching the waves suddenly a feeling of our childhood creeps in as we dig our toes into the sand. The urge to build a sandcastle pops up. Of course there is always a plastic bucket that has been left behind we can grab and our hands are the best molding tools around, so we dig in, and next thing you know there’s Cinderella’s Castle, or at least some facsimile of the picture in our mind. As we look upon our masterpiece we can’t help but think this could be better. 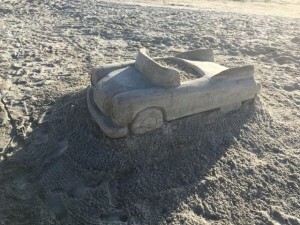 Sandcastle building is an art form; sculptures of castles, monsters, and anything the mind can imagine. There are techniques, tools and methods to make some amazing sculptures. Professionals have perfected the methods of this unusual art form. Knowing how the water and sand work together is more than half the battle. When water and sand mix together, the liquid forms bridges, which is how the sand sticks together. As the water is drained the length of the bridge shortens, making the sand more compact and sturdier. This is why the more you tamper the sand the better it forms into the shape you desire. For the best sandcastles you want to make sure the base is very well compacted. The tools of the trade are pretty simple. A short handled shovel works best for digging in the sand. You will need two buckets, one for water and one for mixing. And some carving tools are important such as an old kitchen knife, a paint scrapper, some trowels, a pastry knife with an offset handle, a fine bristle brush for dusting and a straw to blow off the excess sand. Most of these tools you can find in your kitchen or toolbox, but as simple as they sound they will help bring your masterpiece alive. Now you’re armed with a few basics you are set to head to the beach and make something amazing! 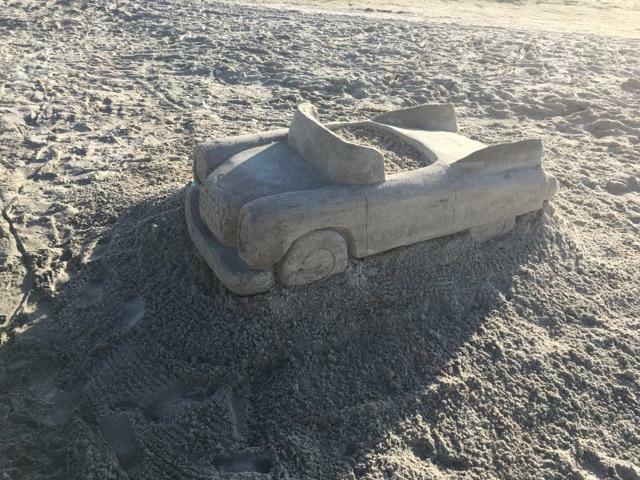 Have some fun in the sun and sand!